Among the many treasures found in Aunty Glad's Suitcase is a wonderful collection of old postcards sent back to Australia by Angus and Malcolm Shepherd. Each card has a unique story, as does the one I am sharing with you today. Often the card's uniqueness comes from the message on the back, however, today's card's story comes from the verse and credit written at the bottom of the card. The Song "It's a long way to Tipperary" was a popular song sung by the soldiers during WWI. 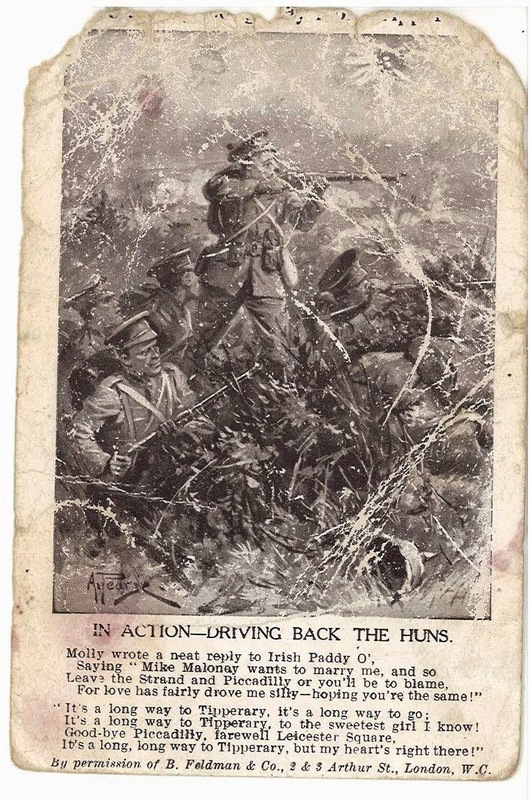 It seems that "A long way to Tipperary" quickly became a favorite with the "Tommies", It is interesting that at the bottom of the card there is a reference that the words to the song were printed with the permission of B. Feldman and Co, 2 and 3 Arthur Street London. The words of the song are credited to Jack Jude and Harry Williams, with the Copyright belong to B. Feldman and Co. Yes, I am still pinching myself at the wonderful treasures that were in Aunty Glad's suitcase. 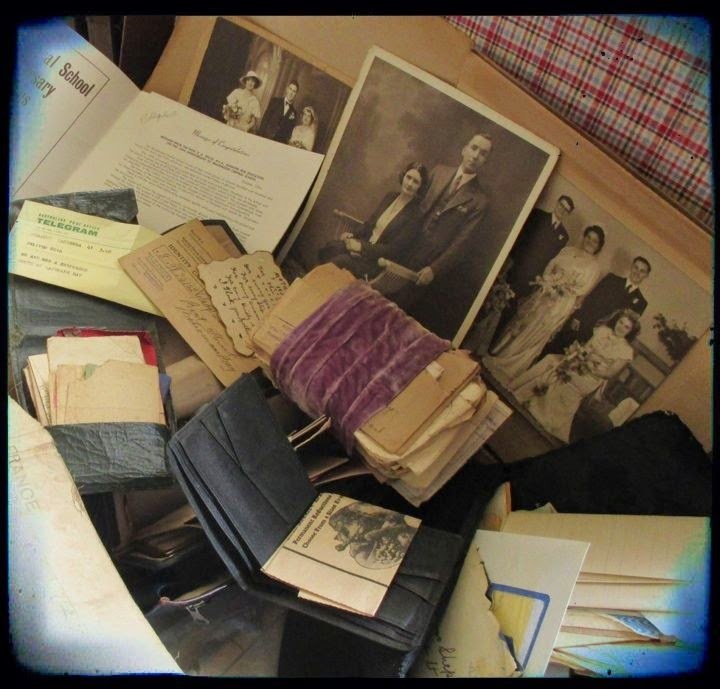 Thanks to Aunty Glad for leaving such treasures and thanks to you for sharing them.